and you'll want to stay on board with her. MICHELLE LEE has now DONE the Talisker Whisky Atlantic Challenge – one of the world’s toughest nautical challenges and the ultimate test in mental and physical strength and endurance. 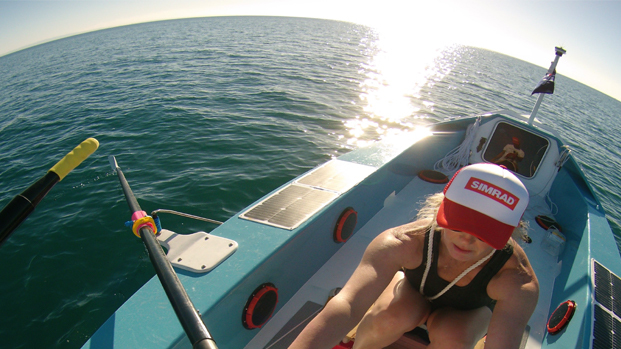 She conquered a 3,000 miles (4,700kms) ocean row which started in La Gomera, Canary Islands. It took her just under 70 days to reach English Harbour, Antigua in the Caribbean. The world’s toughest row is now completed! Find out about the world's toughest nautical challenge and how Michelle became the first Australian woman to row solo across the Atlantic. Come on board and be part of this story. Help Michelle recoup the massive costs in conquering her adventure.